Google recently announced you can now search reviews on listings on the Google Maps app. Finding reviews on Google Maps that tell you exactly what you want to know about a place is now easier than ever. On both Google Maps for Android and iOS, you can now search reviews for keywords or phrases. 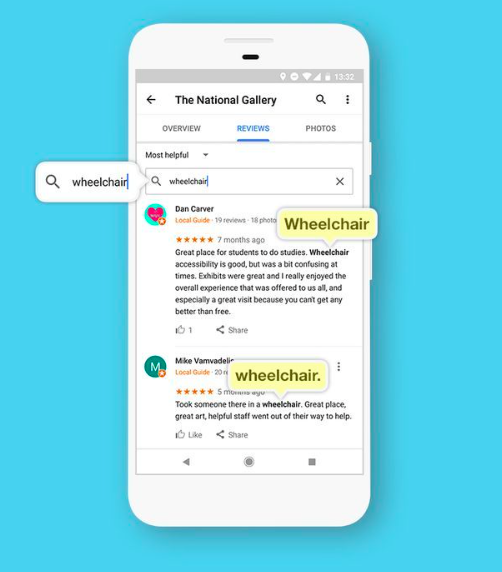 You can search for things like “wheelchair” if you want to know more about the accessibility of a place or “vegetarian” if you’d like to know more about a restaurant’s vegetarian options. Searching pulls up all of the reviews that mention what you searched for so you can find out more information from someone who has been there.